Are you a frugal fashionista? Always searching for designer discounts? Well, you may want to parooze Costco.com before making a purchase from a big-name retailer, such as Nordstroms or Macy's. Last year I was in the market for a pair of Hunter Rain Boots, but refused to pay the $140+ for shoes solely dedicated to getting wet and muddy. I may be a shoe-a-holic, but I would much rather spend my funds on a great pair of heels. My big Italian family has been Costco-crazed for years. Not only have we purchased those staple Costco bulk items on a weekly basis, but have planned vacations and even purchased cars through this big-box store. My beloved grandpa, who passed away last year, was buried with his Costco card in his suit jacket pocket and my mom has been nicknamed the "Costco Queen", so we are pretty legit. In recent years, my mom has been able to find many designer items at deep discount for me on Costco.com, including a Michele Jelly Bean watch for under $145 ($375 originally). The only catch? Limited, constantly-changing inventory. If you see an item you really want to purchase, don't sleep on it. By tomorrow, it won't be there. Costco has a great return policy so I would encourage you to just buy your item and return, if necessary, rather than lose the deal. 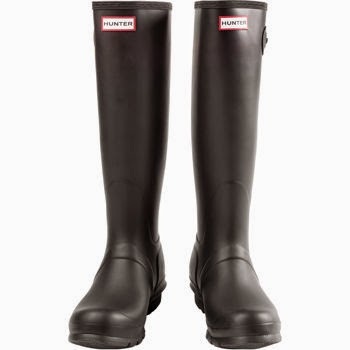 I digress, so let me get back to the point of this post - discount Hunter Rain Boots! While checking Costco.com a few days ago, I saw that the Hunter Rain Boots are back, and in two different color options, for $79.99!!!! That's half the price of any online retailer, currently. However, you must be a Costco member to purchase these boots at such a deep discount. If you aren't a Costco member, you need to get one. General membership is around $50, I believe, and well worth it if you have one in your area. From food to fashion, you cannot beat the prices and membership will pay for itself. 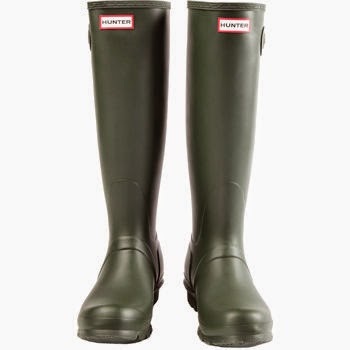 The Hunter Rain Boots offered are from the Original Matte line and are available in Black or Olive. Sizes range from 6 to 10, and are all in stock at the time of this posting. I should also mention that they are fully authentic and you can always trust the a designer purchase from Costco will be genuine. Their standards are extremely high and they will never sell knock-offs. Click to order: Black or Olive.